The entrance. How gorgeous is this? Look at the ceiling. And loving that lamp. And the center table. And everything on the table. 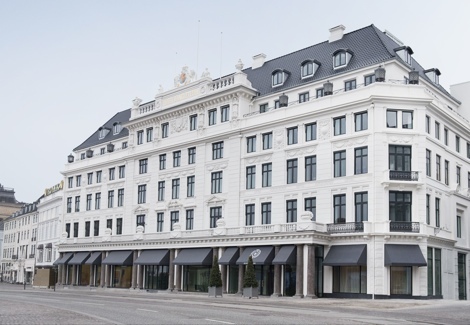 Beginning of May saw the re-opening of the famous hotel d'Angleterre in Copenhagen. The 250 years old hotel has been closed and renovated for over two years. For now 35 rooms and suites are opened but by the end of the year it will be 90. I stayed here a couple of years ago, before the renovation. It was a great hotel, albeit a little old fashioned and in need of renovation, so this sounds very promising. Also the Danes know their design and architecture. The whole city is full of great examples of that. 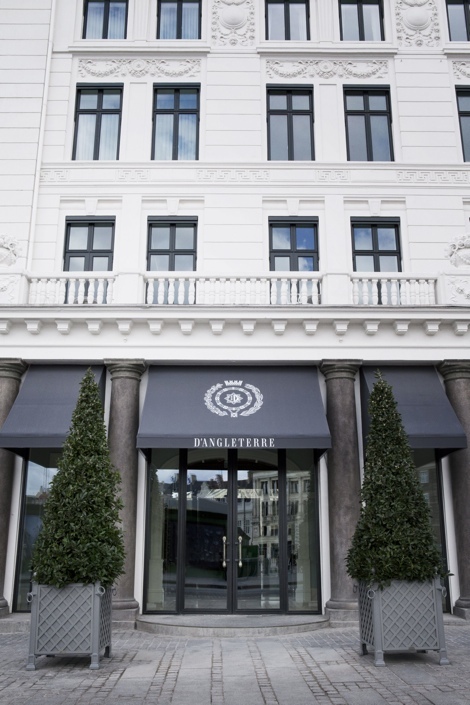 d'Angleterre also hosts a great restaurant, perfect for shopping lunch in the middle of the city. Recently its new Champagne bar Balthazar saw its opening, offering more than 160 different sorts of the bubbles and cocktails. Perfect start for a night out. 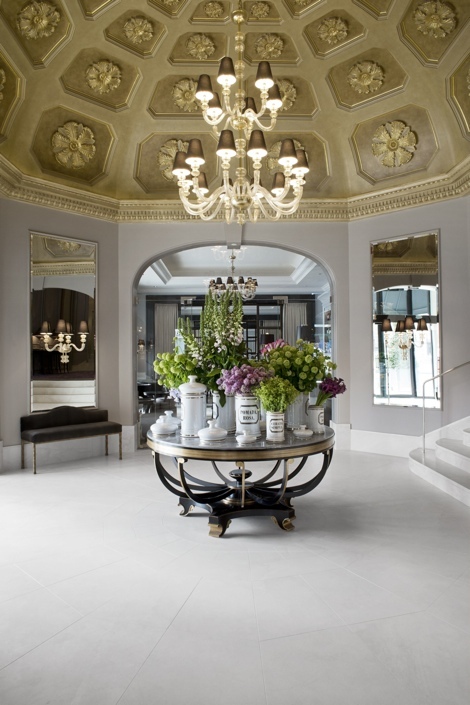 And isn´t the entrance hall gorgeous, or what do you think? Pure love! Super nice. And that Balthazar bar will definitely get at visit from me. This is looking really amazing. I would really love to spend holidays there. I am a big fan of luxurious hotels. Thay attract me so much. Recently I have visited in a luxurious 5 star killarney hotel. It was my first time in 5 star hotel. it was an awesome experience.